Yamaha is all set to launch its much popular model R15 V3 in MotoGP Edition in august 2018 . 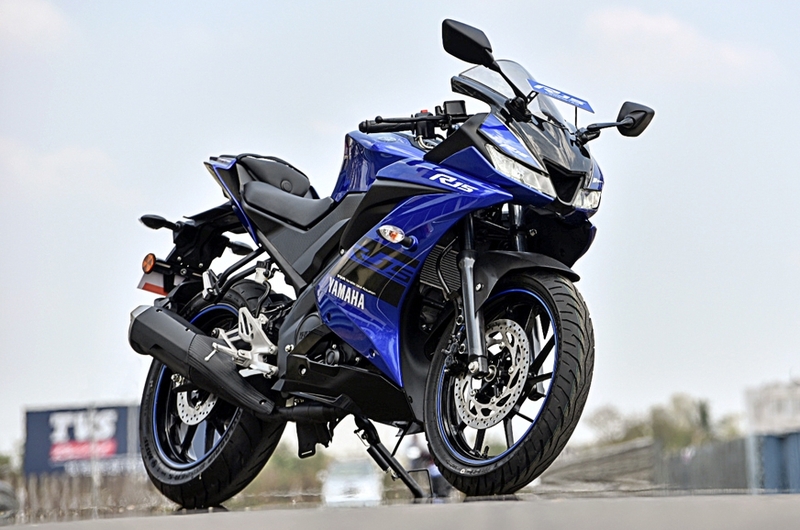 This will be the first MotoGP edition of the R15 to be launched in India . The standard R15 V3 is currently priced at Rs. 1.26 lakhs (ex-showroom, Delhi) and the MotoGP edition is expected to cost a premium over the standard bike. 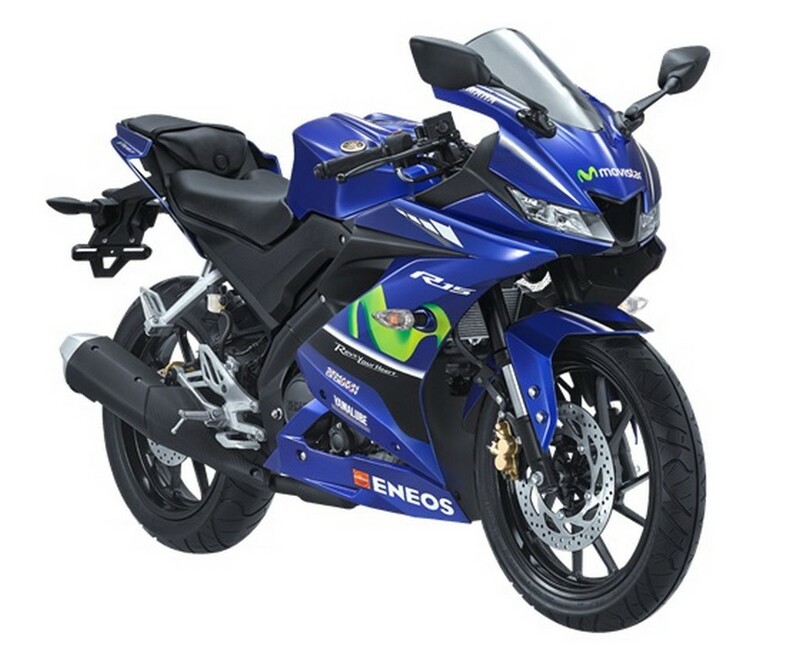 The MotoGP Edition of the Yamaha R15 V3 will come in the blue colour as seen in the factory MotoGP bike along with the Movistar logo on the front and sides and an ENEOS logo at the bottom of the fairing. Apart from these cosmetic changes there is no mechanical changes ,The MotoGP edition is already on sale in some international markets . The India-spec R15 V3 MotoGP edition will remain identical to the standard bike with conventional telescopic forks at the front. It is powered by a 155cc single-cylinder, liquid-cooled and fuel injected engine that makes 19.3 hp of power and 14.7 Nm of peak torque. This unit is mated to a 6-speed gearbox and also feature slipper clutch.